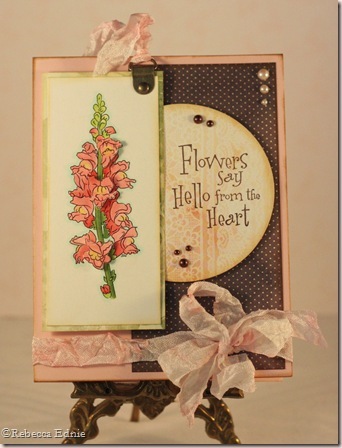 After making a fun bookmark with this snapdragon image, I decided to make another one. This time the bookmark is removable with a magnetic back. I just posted all about it, then the battery ran out on my laptop and I thought I had longer than two minutes to finish and post. I lost the whole thing with how to add the magnets to the back and how to dye and crinkle the ribbon. I am too tired and annoyed to rewrite them so look for it later today. Be sure to sign up for the newsletter at Doodle Pantry because most issues feature FREE images! beautiful coloring Rebecca!!! a lovely, lovely creation!blessings!